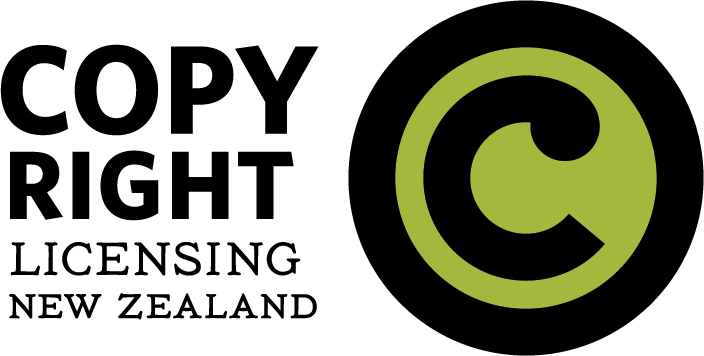 CLNZ represents book publishers and authors from New Zealand and overseas in providing licences for copying from printed copyright works. A CLNZ licence enables education facilities and businesses to gain advanced permission to copy and scan from print material to share with staff or students. Jointly owned by the Publishers Association of New Zealand (PANZ) and the New Zealand Society of Authors (NZSA), CLNZ is a not for profit organisation. Revenue generated from licensing is redistributed back to the owners of the work being copied. APRA/AMCOS has members across New Zealand and Australia who are songwriters, composers and music publishers. APRA/AMCOS licenses organisations to play, perform, copy, record or make available our members’ music, and distributes the royalties to members. Viscopy is Australasia’s rights management organisation for the visual arts. Viscopy provides copyright licensing services in Australia and New Zealand for a wide and varied customer base on behalf of its members. Viscopy represents over 7000 Australian and New Zealand artists and their beneficiaries, and around 40,000 international artists in the Australasian territory through reciprocal agreements with 45 visual arts rights management agencies around the world. Screenrights represents rightsholders in film, television and radio, with over 2,500 members in 52 countries worldwide. In New Zealand, Screenrights licenses its member’s works for use by educational institutions.